Subject to regulatory approval and other customary closing conditions, the as-yet-unnamed JV will bring together First Data’s core gift card business, its Transaction Wireless Inc. and Gyft units, along with FLEETCOR’s Stored Value Solutions (SVS) subsidiary. A gift card processing and program management specialist, SVS came under FLEETCOR’s umbrella when the fuel card and workforce payments specialist acquired former SVS parent Comdata for $3.45 billion in 2014. Some of the entities involved in the new partnership have worked together before. 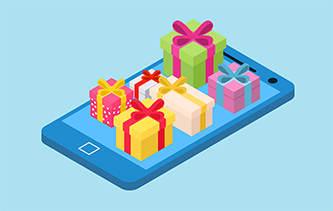 Prior to being acquired by First Data in 2015, digital gifting specialist Transaction Wireless partnered with SVS to bolster the latter firm’s digital gift card platform. The new JV likely will be a significant competitor in the gifting vertical, with the combined revenue of the businesses totaling $362 million in 2016. First Data will own 57.5 percent of the entity and FLEETCOR will own 42.5 percent, the companies said. The creation of the joint venture “shows how the market is consolidating and that consolidation is being driven by the addition to new technology to services that have become mostly commoditized over time,” Ben Jackson, director of Mercator’s Prepaid Advisory Service, tells Paybefore. The partnership makes strategic sense for FLEETCOR, which can now offer digital assets to its SVS closed-loop clients without needing to build them for itself, Jackson adds. Meanwhile, First Data will benefit because the venture “gives the company a way to get a return on the investments it made in Gyft and Transaction Wireless by going beyond its core customer base,” he notes. First Data Chairman and CEO Frank Bisignano said the venture will focus on “expanding gift card distribution solutions and bringing new value to clients in a competitive and rapidly growing marketplace.” In 2015, $293 billion was loaded onto prepaid gift cards in the U.S., according to a report from Mercator. Meanwhile, consumer habits around gift cards are changing, including the rise of digital gift cards and consumers purchasing more cards for self-use. The First Data-FLEETCOR venture is being tasked with creating new ways for merchants to expand their gifting programs to leverage such trends, according to the companies. The venture will support companies selling gift cards on their own Websites, using gift cards to drive promotions and to selling and reloading gift cards online at gyft.com, among other offerings. New customer acquisition, rewards programs and fraud risk mitigation also are among the JV’s top priorities. A new mobile bank gives tools for underage banking. First Data will buy U.S.-based payments processor CardConnect for about $750 million in cash, including the repayment of debt.